MCYIA is an interior architecture and interior design firm founded and led by Chuen Yee. The principals and staff have extensive experience in the design and construction of a wide range of projects. MCYIA's design team listens carefully to understand your objectives and goals in order to successfully create an environment that is attractive, unique, stylish, comfortable, functional and sustainable. Equally important, is our commitment to partnering with you to achieve excellence and satisfaction while completing the project on schedule and within budget. Green & Stylish Island Architecture, Interior Design, and Remodelling for all budgets. 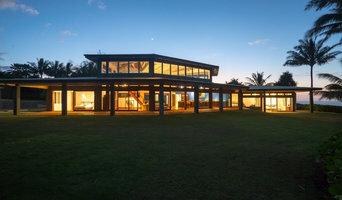 Trigg-Smith Architects is a Kailua-based architecture firm designing beautiful and unique solutions for home owners throughout Hawaii and the Mainland. We are a licensed architecture firm in Hawaii and California. For more information, contact us today. We specialize primarily in residential design including renovations/additions and custom single family homes. WhiteSpace Architects, formerly Philip White Architects, (PKWA) is an established Honolulu-based architectural firm well known throughout the islands for its dedication to innovative, environmentally conscious building design that embraces the local Hawaiian style. 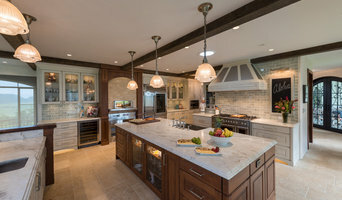 Since the company’s inception in 1984, we have developed a reputation for creating beautiful and functional spaces that embody the way our clients live, work, and play. Long before “green building” became a national trend, we were designing buildings that work in harmony with the natural environment in Hawai’i. Our design approach blends client collaboration with innovative technologies and gracious design - unified adeptly to support the ease, comfort and scale of the indoor-outdoor environments so intrinsic to the Hawaiian lifestyle. As a result of this approach, WhiteSpace has been recognized with multiple design awards, demonstrating our ability to work closely with diverse clients and to integrate unique needs and desires to produce results appropriately suited to the style and demands of each project. As one of the leading architectural firms in the state, the WhiteSpace team is client-centered, nimble, accessible, and responsive. By design, the company is small, but powerful. Team members are talented, bright, and hard working with a sincere passion for what they do, allowing the firm to deliver a high level of service and design excellence. Sunnland Architects is a full service architecture firm specializing in custom residences, multi-family, and resort projects founded by father and son partners, Warren and Tai Sunnland. With over 40 years of combined experience, we believe good design begins with the client’s vision. We approach each project as a blank canvas with no predetermined architectural style. Through constant collaboration, in-depth site analysis, technical knowledge and artistic judgment, we create innovative, inspiring and diverse environments. Each project is given the highest level of attention as we thoroughly enjoy engaging our clients, rigorously working to find the best possible solution to their project needs. It is with much gratitude that we thank our wonderful clients for enabling Kelso Architects to flourish over the past 21 years and allowing us to do what we love. During this time, we have established a reputation as a talented design firm with integrity, ingenuity, and commitment. Mike and Lisa Kelso received intensive design and technical training at top-notch universities and world-renown architectural firms. Our imaginative designs and in-depth knowledge of technical matters are a reflection of our expert training. We attribute much of our success to the close working relationship we form with our clients. Our projects demonstrate a respect for our clients’ goals, aesthetics, budget, and schedule. We listen carefully, engage actively, and respond thoughtfully. We believe that beautiful architecture comes in many styles and value our clients’ aesthetic sense and input. Realistic construction costs are provided early in the design process so that our clients are able to make informed design decisions. As a result, their completed projects are within budget. We believe in a team approach between the owner, architect, and contractor. This collaboration often results in a relationship with our clients that extends well past the conclusion of a project. We are an Architectural Company specializing in custom Luxury Residential single family homes, large or small, whether new or remodeled and Historical Landmark properties requiring restoration. For unique and timeless design with exceptional quality and sumptuous amenities we also provide the "Designers Series" of pre-designed Conceptual Architecture which includes Fantasy themes such as our Mayan Temple Estate available for future construction. 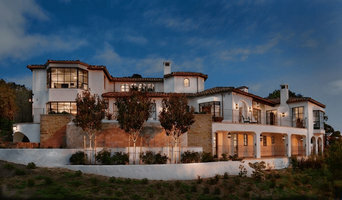 Lapis Design Partners is a boutique design firm that works exclusively on residential architecture and interior design. We collaborate with an enthusiastic group of clients who share our passion for thoughtful and creative design. With each project we strive to develop a sensitively detailed home that will embrace our client’s personality and respond to the surrounding environment. We believe that a home should be much more than just a shelter - it should be a joyful and inspirational living space. Fujita + Netski Architecture is a Honolulu based architecture and design firm. We offer all aspects of design services; architecture, interior design, and landscape design. We specialize in custom home design, from scratch to completion of construction drawings. Also can include third party review to expedite the permit process. Our expertise in quality drawings and approval process can help you get plans approved very quickly. 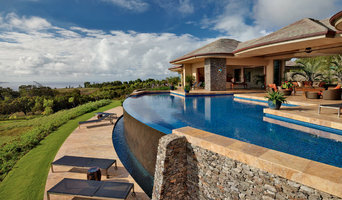 We design dream homes, if you are in the market for one on Honolulu we are here to help. Ohana Architects is on a mission to strengthen communities. Rocky Arnold approaches architecture with an emphasis on the community and family unit. Raised in Hawaii, Rocky has built his career designing spaces for communities to gather, play, work, and evolve. In Hawaiian culture, the concept of “Ohana” refers to the familial relationship as a promise of cooperation, loyalty, and trust. It’s this passion and purpose that Rocky Arnold brings to his work as he designs environments for groups of people to be brought together while the physical space and culture around them may be pushing them apart. Licensed in architecture and real estate, Rocky Arnold brings a unique perspective on the familial space and acts as a consultant for groups of all sizes to understand their current lifestyle needs while providing options for a new direction. As families consider the options for their home, work, or play space, Rocky uses his passion for design and real estate to meet both the functional and aesthetic needs of the family to foster a flourishing environment. Rocky Arnold operates Ohana Architects surrounded by his young family in Honolulu, Hawaii. HK Pae Architects design spaces for living well. Many firms produce award winning designs but forget about their clients needs. For every prominent project we do there are many more smaller projects. Your project, whether large or small is important to us and we would love to be a part of it. M • Squared Design is an award-winning Hawaii-based architectural firm with 25+ years of experience in designing luxury homes and various commercial projects including churches, sports facilities, offices and retail. M • Squared Design continues to lead the way in innovative solutions and resources to resolve complicated design scenarios. На этой странице мы собрали для вас лучших проверенных архитекторов и архитектурные бюро в городе Гавайи, HI, которые помогут вам создать проект дома вашей мечты. Вы можете посмотреть портфолио архитектурных проектов, список предоставляемых услуг по архитектурному проектированию, почитать отзывы реальных клиентов и выбрать специалиста по душе. Часто мы пытаемся найти кого-то через знакомых, но этот вариант не всегда является гарантией успеха. Если вашему другу нравятся дома в современном стиле, а вам, например, в стиле шале, процесс работы с архитектором может существенно отличаться. Поэтому лучше искать специалиста на Houzz, где есть большой выбор архитекторов в городе Гавайи, HI с портфолио и отзывами. Перечень предоставляемых услуг и состав проекта. Необходимо заранее определиться, нужен ли вам дизайн интерьера дома, или вы хотите только архитектурный проект, включены ли услуги авторского надзора, подбора материалов. У многих архитектурных бюро в городе Гавайи, HI есть свои дизайнеры и строительные бригады. Попросите пример выполненного проекта, рассмотрите его наполненность. Если вы уже знаете, кто будет строить Ваш дом, покажите такой пример прорабу, пусть он скажет, достаточно ли в нем информации.